New Orleans is brimming with strangers from strange lands. If you feel at home in New Orleans, you are some variation of a misfit who found peace among the magnolias. Jason Berry is no stranger to misfits, having built up his writing career analyzing the Catholic Church and the sounds of jazz. In City of a Million Dreams: A History of New Orleans at Year 300, he captures the vinegar of life found on this sliver of land between the Mississippi River and Lake Pontchartrain. A city built by French pirates, Haitian slaves, Piedmont planters and Sicilian grocers, always under threat of choking to death on muddy water. New Orleans was founded as a French colonial afterthought. It paled in comparison to the French fleet stationed at Mobile Bay and the immense sugar operation in Saint-Domingue. The brothers Iberville and Bienville, intrepid explorers guided by the Jesuits of Quebec, founded the city in swampland to honor Philippe II, duc d’Orléans. The experiment floundered at first, and after losing Quebec to Britain in the Seven Years’ War, the French gave Louisiana to their Spanish Bourbon cousins. In a testament to its value, Spain waited a decade before dispatching a governor from Havana to New Orleans. New Orleans is a city of dreams, maybe even millions of them. The highlight of Berry’s early descriptions of New Orleans is the figure of Antonio de Sedella, known locally as Père Antoine. Sedella was a Capuchin friar who arrived in New Orleans in 1774 as an official of the Spanish Inquisition and was soon named rector of St. Louis Cathedral by the bishop of Havana. A wild-eyed freak of a man, Père Antoine quickly became a populist champion of French-speaking black Creoles, poor whites and the imprisoned. Personally austere and rigid, Père Antoine baptized the voodoo priestess Marie Laveau and presided over her wedding. The sale of Louisiana to the United States did not loosen Père Antoine’s hold over the cathedral. He rejected the authority of the papal delegate to New Orleans and rallied Catholics against him, forcing Archbishop John Carroll of Baltimore to seek Vatican intervention to quiet the raucous friar. Père Antoine remained the rector of St. Louis Cathedral until his death in 1829. The Americans were not welcome at first, but the United States brought a level of administrative management previously unseen in the colonial backwater. Virginia planter and military man William Claiborne won over white Creoles and served as the first elected governor of Louisiana. Upon his death in 1817, Claiborne was buried in St. Louis Cemetery No. 1: It was a high honor for a Protestant to be buried in a Catholic cemetery. Tennessean Andrew Jackson drove back the British in 1815, saving New Orleans from the inferno that engulfed Washington, D.C.
North Louisiana was populated by newly arrived homesteaders from Virginia, Tennessee, Alabama and even New York. From statehood onward, these Scots-Irish and English residents came to dominate the politics of Louisiana. New Orleans and her Cajun cousins in south central Louisiana would be shut out of state government. Shreveport Baptists and Pentecostals were not keen on the culinary appetites or the sloppy bookkeeping methods of their Catholic neighbors. Richard Leche, elected governor in 1936, remains the only native New Orleanian to occupy the governor’s mansion in Baton Rouge. One learns in New Orleans to be a little more carefree because big trouble is always close. New Orleans understands herself as a city of displacement. The Spanish displaced the French. The Americans displaced the Europeans. Slaves displaced free people of color. Irish and Italian immigrants displaced white Creoles. And all the while, hurricanes displaced everyone on occasion. One learns in New Orleans to be a little more carefree because big trouble is always close. Berry captures the reality of Mardi Gras as the ultimate expression of letting the good times roll in the face of the absurd. 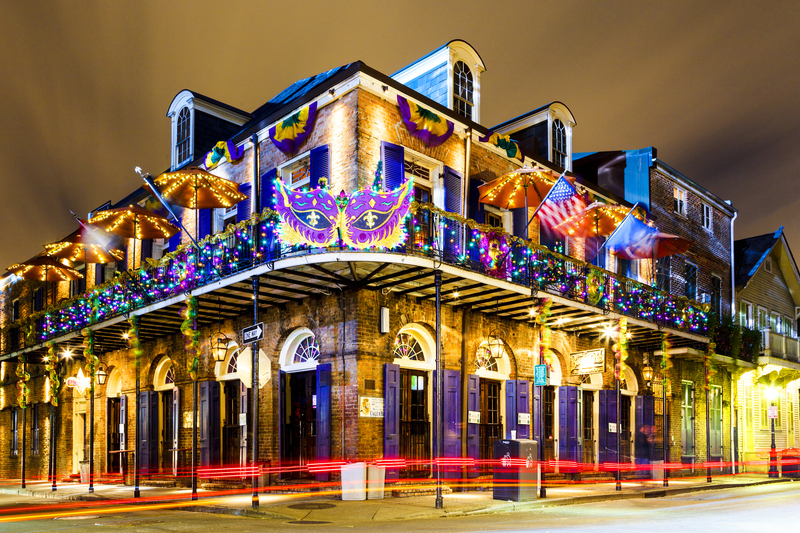 While out-of-towners revel in the decadence of the French Quarter, locals focus on the Mardi Gras “krewes,” social clubs that host balls and parades, which roll and stroll through the tree-lined streets of Uptown. Segregated at their inception, black and white krewes bit hard into the political and economic milieu of their time and place, with satirical floats unmatched in the United States. Mardi Gras is a way to lampoon the powerful, celebrate the fool and cleanse the soul before the holy season of Lent. New Orleans is a city of dreams, maybe even millions of them, as Berry indicates in the title. For most black New Orleanians, it is a dream deferred. Berry returns again and again to the experiences of burying the dead. A New Orleans funeral is often preceded by a second line, or a small brass band leading a funeral procession. Trumpets and cornets can be heard playing a melancholic tune into the grave and an upbeat spiritual number with the saints out of the cemetery. Amid the brass sounds of jazz and ragtime, mastered by Jelly Roll Morton and Louis Armstrong, were often the only places black New Orleanians could be free. They were free to share pain, joy, sorrow and faith. The musician in New Orleans could find God and walk closer to the Spirit. The Mississippi River Flood of 1927, as well as Hurricanes Betsy (1965) and Katrina (2005), proved the vulnerability of the city built in a bowl. The story of New Orleans today is a long meditation on its value—locally, regionally, strategically—at 300 years. Katrina blew away many fictions and revealed the truth about poverty, race and negligence. Each hurricane season brings a fresh time to contemplate whether or not New Orleans will survive to see 400 years. While Berry does a masterful job giving us the twists and turns of ghosts of New Orleans past, it is our contemplation about the future that is most dark and troubling. The post-Katrina New Orleans looks different. It is whiter than before. It is smaller than before. It sometimes welcomes and sometimes battles the millennial hipsters from Cleveland and Des Moines who came to claim a piece of the cultural authenticity found in the historically working class Bywater, St. Claud, and Treme neighborhoods. The second line tradition has morphed from a family affair in honor of locals into a disjointed spectacle honoring Carrie Fisher live on Instagram. The South is not a place that appreciates the virtue of generosity in the face of change. New Orleans remains a place of misfits, but you have to build your own community and find your own way. The city is tired and beaten down, and she longs for more rest. The post-Katrina New Orleans looks different. It is whiter than before. It is smaller than before. It is hard to argue with Lafcadio. The waters will rise. The cocktails will remain sharp. The faithful departed will watch over us. The people of New Orleans will dream and laugh and live. This article also appeared in print, under the headline "'Laissez les bons temos rouler' ," in the October 29, 2018 issue. Kyle Gautreau is a New Orleans-based political consultant and writer.